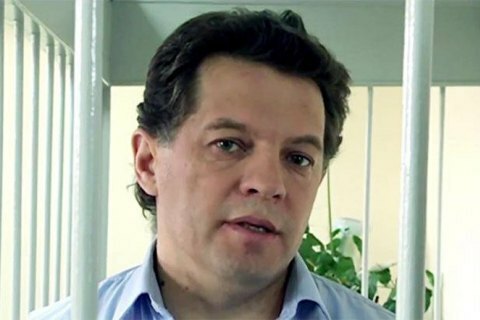 The Ukrainian Information Policy Ministry has strongly condemned the decision by the Russian Supreme Court to uphold the sentence handed down to Ukrainian journalist Roman Sushchenko, who was sentenced to 12 years in a high-security colony on trumped-up espionage charges. "It is hard to expect a fair decision from a higher court in a state that has long ago forgotten what truth, freedom and respect for human rights are. It must be understood that every such decision against Ukrainian political prisoners is another nail in the coffin of a criminal regime that now reigns in the Kremlin," the ministry's press service quoted Information Policy Minister Yuriy Stets as saying on Wednesday. The minister also said that he very much relies on the support of the international community in the issue of the release of Ukrainian political prisoners. Sushchenko was arrested in October 2016 on charges of espionage (Article 276 of the Criminal Code of Russia) and was remanded in custody under a ruling by Moscow's Lefortovo district court.